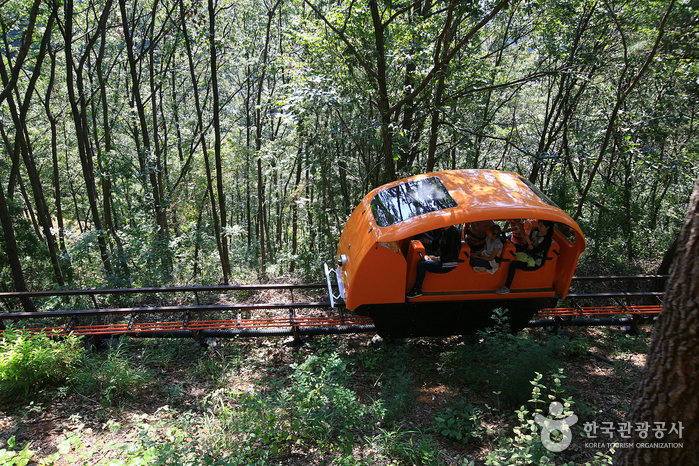 Cheongpung Lake Monorail is an experiential monorail, stretching out for 2.6㎞ from Dogok-ri, Cheongpung-myeon, Jecheon-si to Bibongsan Mountain (531m). When taking a walk from Dogok-ri, it takes 1 hour to reach the peak of Bibongsan Mountain. However, it only takes an effortless 20 minutes by the monorail. Taking the monorail is good for seniors or people with disabilities to enjoy the beautiful scenery of Cheongpung Lake.